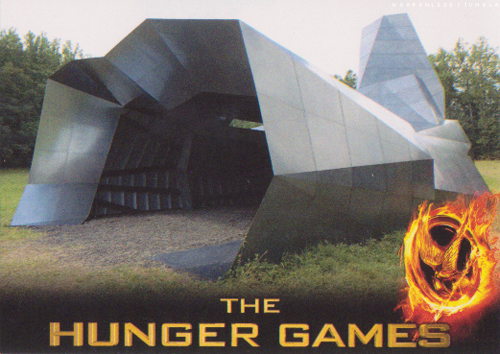 Cornucopia. . Wallpaper and background images in the The Hunger Games Movie club tagged: the hunger games movie. OMG!!! That's just not how i imagine cornucopia. Isn't it suppose to be some sort of a golden horn? This just looks like weirdly shaped tunnel. WHAT THE HECK THAT'S THE CORNUCOPIA?! I kind of imagined it to look a little less...modern. the book says its golden...this thing is silver.....what the heck?